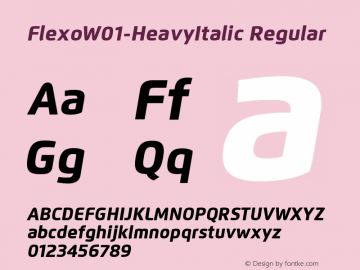 Flexo-HeavyItalic font family series mainly provide Regular and other font styles. 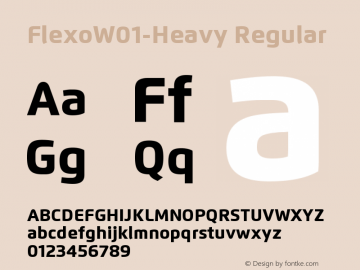 Flexo-Heavy font family series mainly provide Regular and other font styles. Sensaway-HeavyItalic font family series mainly provide HeavyItalic and other font styles. Bliss-HeavyItalic font family series mainly provide HeavyItalic and other font styles. Gopal-HeavyItalic font family series mainly provide HeavyItalic and other font styles. Houschka-HeavyItalic font family series mainly provide HeavyItalic and other font styles. OPTIIambic-HeavyItalic font family series mainly provide Italic,HeavyItalic and other font styles. 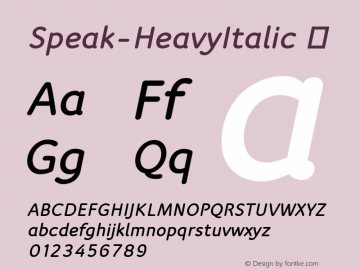 Speak-HeavyItalic font family series mainly provide Regular,HeavyItalic and other font styles. 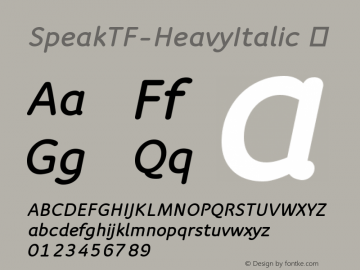 SpeakTF-HeavyItalic font family series mainly provide HeavyItalic,Regular and other font styles.